These iconic trees are deeply rooted in American culture. Oaks have impressive longevity and can live up to 300 years. “The faster growing trees have a tendency to die young, and the slower growing trees live longer,” he notes. Kush says that the post oak is his favorite, but it’s the live oak’s beauty that is frequently praised. “You’ve got to love the live oaks,” Kush says. “It’s not quite an evergreen tree—the waxy, dark green leaves will fall off in spring, but new leaves form. 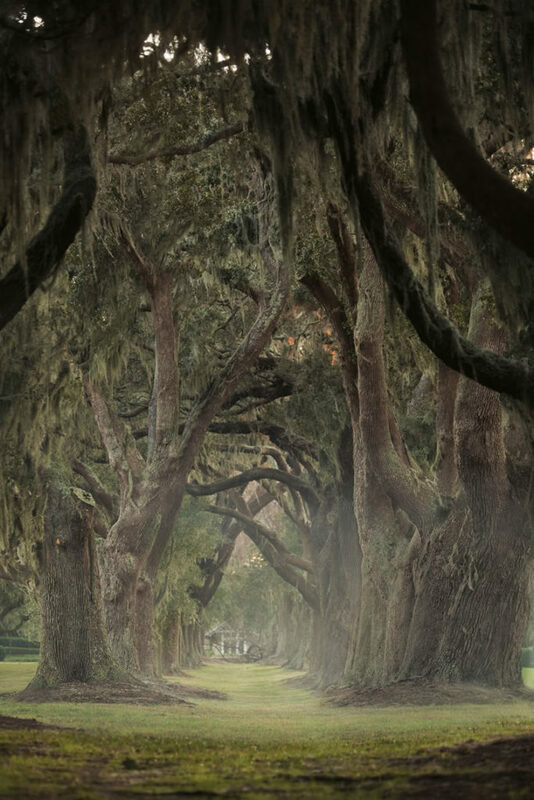 They don’t shed in winter.” Live oaks often have a crown that can span up to 40 to 50 feet or more on each side and with its spreading branches gracefully dipping to the ground, draped by Spanish moss, it boasts a picturesque beauty beloved by photographers. 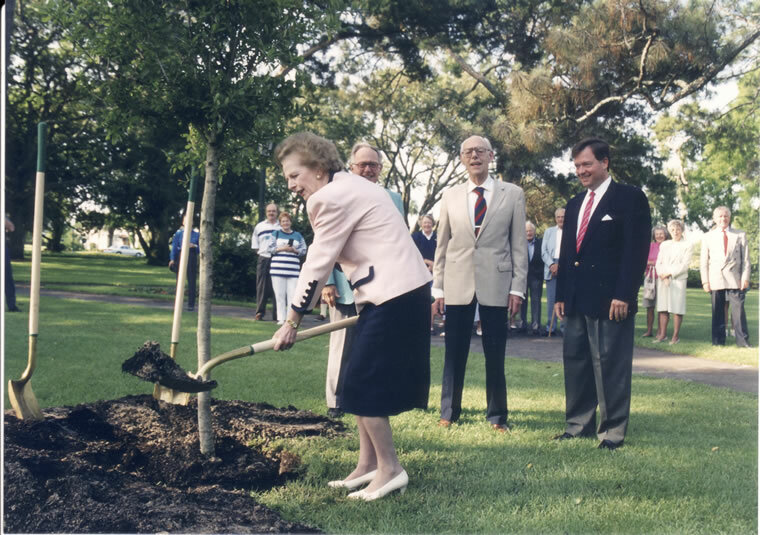 In 1994, former Prime Minister Margaret Thatcher added an oak tree to the resort grounds. 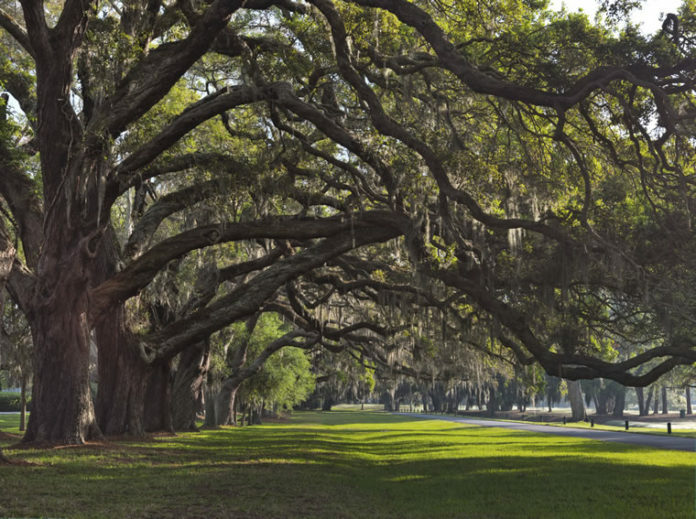 Known for their spreading limbs, towering canopies and Spanish moss, the long-living trees grace Sea Island at two significant sites: the Avenue of Oaks, which lines the drive to The Lodge at Sea Island, and the Presidential and commemorative oaks. Great Britain is also represented, with trees planted by former Prime Ministers Margaret Thatcher (1994) and Tony Blair (2004). Thatcher was reportedly very enthusiastic about the endeavor, shoveling and patting around her tree with a flourish. It is not just presidents and prime ministers who have left their marks. First ladies are also represented among the trees, as is royalty like Queen Juliana of the Netherlands, who planted an oak with her husband in 1952. Another tribute oak includes one to honor the employees of Sea Island. Yet Sea Island isn’t the only place the recognizes the significance and special characteristics of the oak. The live oak is Georgia’s official state tree, and following a National Arbor Day Foundation contest in 2004, the species became America’s national tree as well. From the very first day of the contest, the oak was the clear favorite of the 21 candidates. “We undertook this vote to remind Americans of just how important trees are to us all, and to emphasize the history and grandeur of our trees,” said John Rosenow, founder of the Arbor Day Foundation, when the contest ended. “The oak tree will now be as much a symbol of America as Thanksgiving Day, Old Glory, ‘The Star-Spangled Banner,’ and the bald eagle,” said Sen. Ben Nelson of Nebraska, a supporter of the contest, back in 2004. The mighty oak’s great qualities are numerous. It is a great shady tree, provides year-round green foliage or, in some species, beautiful autumnal shades. The species grows in almost all planting zones in the U.S. and adapts to most soil conditions. Live oaks also have a tight grain and strong resistance to rot, making it a durable wood perfect for ships, cabinets and more. “Live oak was harvested on St. Simons during the 1790s to construct the first frigates for America’s Navy,” Rogers says. After the American Revolution, the country needed a new navy. “Because of its density, the wood was considered the best choice for the ships’ framing,” she says. 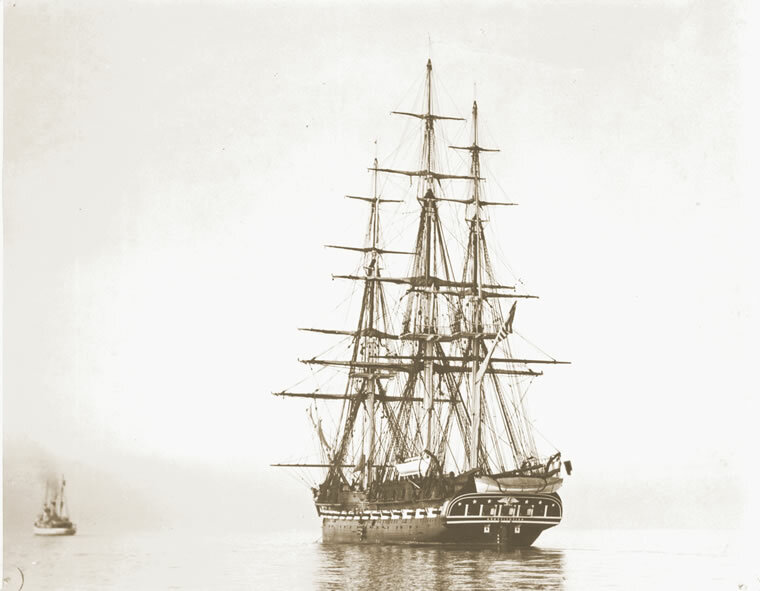 St. Simons Island live oak was used to build the 44-gun USS Constitution, which earned its famous nickname, “Old Ironsides,” after an American sailor saw the ship’s hull repel British canon shot during the War of 1812. The Avenue of Oaks used to serve as a driveway for horse-drawn carriages. According to Kush, “probably the most storied oak is the live oak.” Around the U.S., conversations about oaks can heat up over which region boasts the oldest, the biggest and the most legendary. There is the Angel Oak on Johns Island near Charleston, South Carolina, which is said to be 400 years old and stand at 66.5 feet, while its branches cover an area of 17,000 square feet. Also in the South is The Big Oak in Thomasville, Georgia, which is one of the earliest trees registered, and the Lover’s Oak in Brunswick, Georgia, which is estimated to be more than 900 years old. Meanwhile, the Big Tree in Rockport, Texas, is said to be the largest oak in the United States, and the Friendship Oak in Long Beach, Mississippi, is said to grant everlasting friendships to those that step beneath its shade. While some of these may just be legends, one thing is certain about oaks: They are a hugely important part of not just Southern society, but America as a whole. The young trees in the Avenue of Oaks were grown from parented acorns, now planted to take their place. In Greek and Norse mythology, the oak tree is sacred. There are more than 600 species of oaks worldwide. One survey indicates 78 wild oak species are endangered. Oaks can be found in every U.S. state except for Alaska. Legends state that King Arthur’s round table was made from a gigantic piece of an ancient oak tree. Oak trees grow slowly; it is estimated that within 80 years, they will grow no more than 2 feet in diameter.